When you’re thinking of things to do during your Myrtle Beach vacation, there are some items that are sure to top your list: going to the beach, hanging by the pool, heading to Broadway at the Beach, going for a ride in the SkyWheel or just walking along the Myrtle Beach Boardwalk. But these activities just scratch the surface and there are many activities that you might not have ever even thought of. The Franklin G. Burroughs-Simeon B. Chapin Art Museum has more going for it than a long name- it is home to some great local and national artwork exhibits, including rotating juried art exhibits. The art museum features ten galleries and four collections as well as events and even a kids art programs. Open every day but Monday, there is no fee for entry, however, donations are accepted. The museum is located just a short drive south of Captain’s Quarters Resort at 3100 South Ocean Boulevard. A trip to the Myrtle Beach Art Museum is a great and unique inexpensive addition to any vacation. While the city of Myrtle Beach itself is only about 75 years old, there are homes and other buildings in the area that date back to the Civil War. 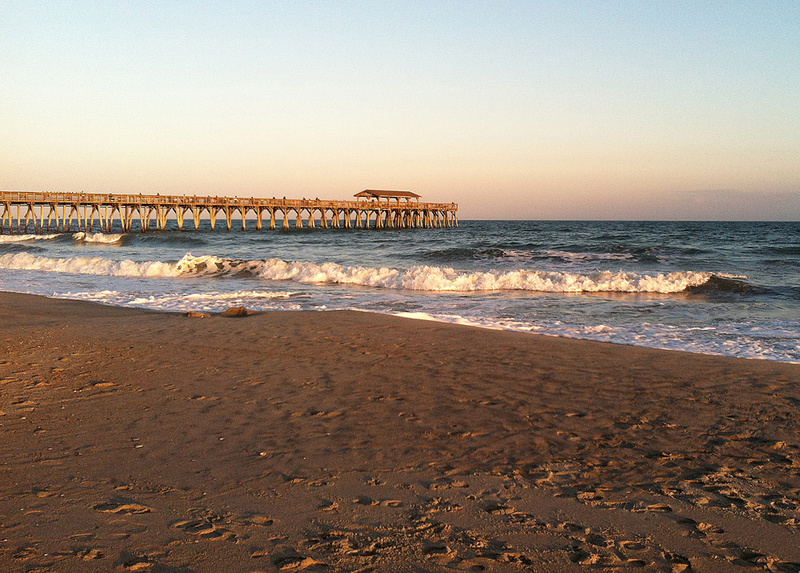 Taking a tour of these areas is a great way to spend an afternoon during your Myrtle Beach vacation. You can head south and go on a riverboat tour of the old plantation sites along the Intracoastal Waterway in Georgetown County, or head west towards Conway and visit some of the historic sites around town including the Union Methodist Church, the old Moore Cemetery (dating back to the 1700s) and North Island, the home of Revolutionary War General Peter Horry. Spending time outside when you’re in Myrtle Beach often means heading to the beach, but there are lots of lovely parks that you can explore if you’ve had enough time in the sand. From The Market Common Grand Park to Myrtle Beach State Park to Huntington Beach State Park, there are plenty of places to enjoy the local scenery. Pack a picnic, some Frisbees and spend a day enjoying the temperate weather. During the warmer months you can participate in a Wild Encounters Tour right here in the Myrtle Beach area at T.I.G.E.R.S. 50-acre preserve. It is a bit of a splurge, $299 per person (children under six not allowed), but it is well worth the cost. The three-hour tour will give you the chance to get up close to falcons, an elephant, Liger, and up to 60 big cats. Tip: Use your VMB card for $20 off for up to five people in your party. These are just some of the unique things you can do in the Myrtle Beach area. Other fun options include going on a Kayak Crabbing Tour with J&L Kayak Ecoventures, take a surf lesson with Kokopelli Surf Camp, take a flyboard ride with HydroFly, or go scuba diving with Little River Fishing Fleet. There are many ways to experience the Myrtle Beach area. All you have to choose is what you want to do and start making plans!